Dr Lee is fantastic! However his staff is not. The office is run poorly. It took them forever to get myreferral squared away, and acknowledge that they had my test results. I found the personnel difficult. There was also a long wait time even though I was first appointment. Nurse was rushed and didn't really listen. Left in the middle of me answering her question. Dr Lee is fantastic! However his staff is not. The office is run poorly. It took them forever to get my referral squared away, and acknowledge that they had my testresults. I found the personnel difficult. There was also a long wait time even though I was first appointment. Nurse was rushed and didn't really listen. Left in the middle of me answering her question. Very professional and knowledgeable office and staff. Would highly recommend. I consulted Dr Lee for a second opinion on my wrist and thumb after another surgery.He was professional, understanding and very thorough, including all the xrays he took on my wrist. Thank you! My first visit was good, I look forward to working with him on my condition. There was some confusion with a previous diagnosis and Dr. Lee & his staff were very thorough to make sure we knew the exact issue before I left the office. It made me feel good to know that he cared enough to get it right under his "watch". He was very nice and friendly and so was the staff. We were there for my sister, who has Alzheimer's and had broken her hip. They treated her with respect and tried to help her understand what they were trying to do. Dr. Lee is very personable and thorough with his examination. He takes time to explain in detail what is wrong and the steps to improve the problem. It was such a pleasure to find a happy, caring doctor that is opento your questions. In my experience this doctor is one of the best there and I am so glad I went to him for help. I did not have to wait a long time to see him and once in the room, he came in quickly welcoming me and discussing my reason for visiting. What a joy it was to find Dr. Lee. He explained away every concern I had no matter how small. He took the time to really listen to me and explain where I had a total understanding. Such a blessing for me. Him walking through the ER while I wasthere was a God send. I live in far north Dallas, but I would drive even further if I had to so he would be my surgeon. Surgery went great and looking forward to finishing up therapy. 1st visit w/ Dr. Lee. Impressed by his examination & communication. Y'all will be calling me back to schedule a MRI. So far, so good. Thank you Dr. Lee. Dr Lee was very nice & to the point ! He gave me a steroid shot & I didn't even feel it . He was easy to talk to , & answered my questions! I really loved the compassion of all of the staff. I went through a traumatic experience and everyone in the office was kind, caring, understanding and professional. There was very little wait time. Dr Lee's bed side manner was impeccable and I would recommend them to anyone I know. Dr Lee was great ! I will know more as I get to know him . First visit went well , got some shots to help the pain . He was very good with doing that for sure ! My wife and I have both used Dr. Byung Lee for issues with our hands wrists. We are impressed with his professionalism and helpfulness in our treatment. I especially appreciate him taking the time to explain the physiology and issues interms we can understand. Coming from an engineering background, this is very important to me. Very nice, knows his stuff, and answered my questions. Perfect combo. Short but sweet. Got right in to see Dr. Lee. He had x-rays taken before he saw me and made his assessment. He gave me a clear course of action and asked if I had anything that I didn't understand. Dr. Lee is very thorough and is very likeable. The doc was not too sure.. He was going by the book and couldnt apply practically... My Xrays didnt come out the way he would have expected and i still have the issue which i am living with.. He is an excellent doctor and i would highly recommend him. Very thorough and explains everything. fast efficient service. surgical procedures and expected out comes are well explained before and after surgery. Dr Lee has performed multiple surgeries and I would highly recommend to anyone who needs hands & elbow nerve surgery. I love how he explains it to me & my husband. Dr. Lee I will continue to use and I highly recommend. I am a 62 year old woman who stepped in a whole in her yard and broke her leg in a weird way and almost had to have surgery. Dr. Lee performed his miracle and I was able to avoid surgery.He has been treating me for 3 months and Dr. Lee has made an unbearable experience much more tolerable. He and his staff are professionals, but they care about your recovery, much like a family member would care. I have been extremely pleased with the care that I have received and I would recommend Dr. Lee and his staff to my loved ones. Dr Lee is top-notch in every way! Highly professional and knowledgeable Doctor. Uses conservatism in his medical approach. I highly recommend Dr. Lee for anyone! Great bedside manner, extremely personable, great personality and well-suited for the work he does. His care & concern is wonderful. He takes time to fully explain what & why his treatment is as well as why. Dr, Lee was very attentive to my medical issue and was concerned to get the issue resolved. I highly recommend Dr. Lee for his professionalism and bedside manner. I will recommend Dr. Lee to others. Patient and understanding. Explains things so you are able to understand. Takes time with you and doesn't make you feel like he is rushed to get to the next patient. I sat in the waiting room after filling out the remaining paperwork (the Zocdoc files didn't transfer, I think) for maybe 5 minutes and called back to check my weight. I was x-rayed and saw Dr. Lee within 8 minutes! Ialso made this appointment the day prior (on a Sunday even)! I like Dr., Lee, he is very nice and he knows what he is doing. Dr. Lee and his staff are great. They take care of both my wife and I. Very personable, great listener , and very good at diagnosing and helping with the problems we had. Great guy. Dr. Lee saw both my wife and I today. We both had issues . He listened and explained very well. Easy to talk to and we both felt very good about the plan for each of us going forward. I had my second post-surgery followup visit with Dr. Lee today, it was an excellent visit. He was professional, personable and immediately on top of a couple of new concerns that had arisen since my last visit. Clearly explained what my problem was and what his treatment plan would entail. Very comfortable with his plan. Great doctor! Made sure I understood everything before I left. Friendly and made it easy. Dr. Lee did surgery on my wrist after a fall caused a compound fracture. He was excellent in every regard. He prepared me well for the surgery, educating me on the procedure and patiently and professionally answering every question that Ihad. The surgical experience itself was top notch. I had virtually no post-surgical pain and the follow up care from Dr. Lee and his staff was outstanding. 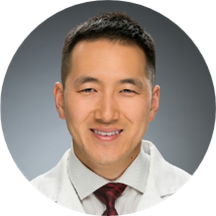 I highly recommend Dr. Lee on every level: medical expertise; surgical expertise; professionalism; approachability; and patient care and concern.